Warner Bros. Interactive Entertainment and NetherRealm Studios are pleased to reveal one more new character that will join the fray in Mortal Kombat 11 – The Kollector. The Kollector will debut in Mortal Kombat 11 when it launches on April 23. 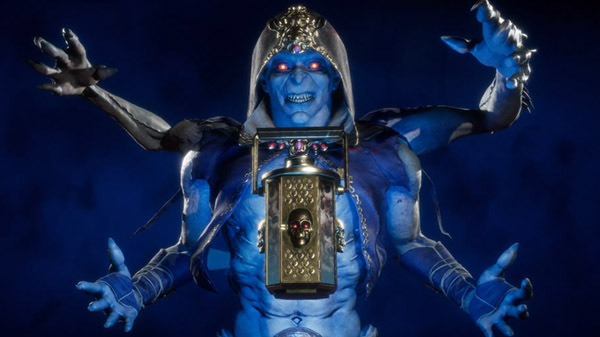 According to NetherRealm, the Kollector is a proud servant of the Outworld Empire who cares only for his wealth and status and will anyone to keep it. As we are about two weeks away from its release, NetherRealm Studios could release more news in regards to new characters that will join the fray. Always stay tuned for more updates. Mortal Kombat 11 will be available on April 23 for Xbox One, PlayStation 4, PC, and Nintendo Switch.